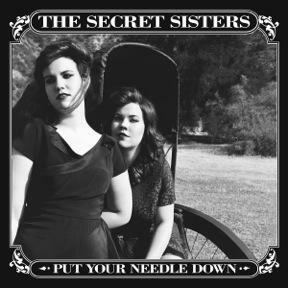 We wanted to let you know that the very talented Secret Sisters have a new album out today called Put Your Needle Down. Among the 12 great tunes on the record is a song of Bob Dylan’s, “Dirty Lie,” that the Sisters – Laura and Lydia Rogers – completed and recorded with T Bone Burnette for the album. The new version came out great, and the whole record is highly recommended. You can get it on iTunes or on Amazon. “The Lyrics: Since 1962” Available Now!